The environment has always been important to the residents and leaders of Huntington Beach. The beautiful coastline and natural wetlands attract thousands of visitors each year and close to 200,000 people call Huntington Beach home. The City understands the need to protect the environment and has initiated a variety of programs aimed to educate residents and businesses alike. Doris Powell works for the City of Huntington Beach Public Works Department. The city has been committed in insuring community enhancement and preservation functions, such as maintenance of sewer, streets, parks, transportation, and water systems. Thus, the department has been running e-waste collection for 8 years. In most recent years, the funds raised have been donated to support Friends of the Huntington Beach Library. Named the “Best City to Live in Orange County” by the Orange County Register readers, Huntington Beach offers residents a charming community with ideal weather, a diversified economy overflowing with good jobs, a wide variety of housing, an excellent educational system, boat marinas, numerous parks, and exemplary health care. 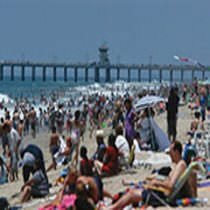 The City of Huntington Beach is located along the Southern California coast in Orange County, 35 miles south of Los Angeles and 90 miles north of San Diego. Named for railroad magnate Henry Huntington who orchestrated its development, the city is now an epicenter of activity and entertainment with wide, sandy beaches. n e-waste collection event is a convenient and responsible way for the community to recycle their unwanted electronics. Load up your car with any electronics you would like to recycle, come by any of our drive through style events and we will unload your eWaste and make sure it is handled responsible. Lastly, you can feel even better about recycling at one of our events since your donation goes towards supporting a non-profit fundraiser for their cause! Seacliff Self Storage – This is a self-service location. Please bring assistance to help you unload your vehicle, especially for LARGE or HEAVY items. This location accepts all types of electronics with no limit to size and volume. Please park your vehicle and inquire at the location for assistance. Please support the City of Seal Beach by scheduling a pickup for your business! 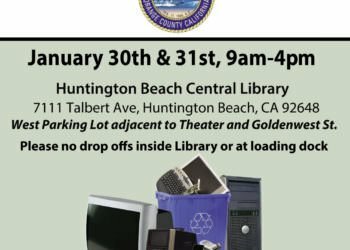 All you need are 20 or more computers, laptops, monitors, TV’s, or cell phones and All Green will pick up the items from your location for free! Fundraise for Friends of the City of Huntington Beach! 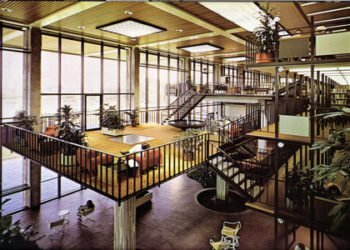 The Library is looking for contributions to help increase variety of our resources. Our main goal is to provide books, magazines, videos, DVDs, CDs, and tapes to our community members. Library Friends care about the welfare of the library and strive to strengthen the library’s resources to the community.